Even though I haven’t been teaching long enough to have an abundance of education books I love to share, I still have some that are my go-to books when I need a bit of inspiration! Here are my top 10 Teacher Books, not in any specific order or sequence. This book has a lot of great ideas on how to design beautiful, engaging spaces for children. It has a great description on how to set up an environment that encourages learning and exploring. This book lets pictures do most of the talking, but it makes all the difference! There are so many inspiring spaces in this book paired with how to implement creative spaces and utilize the third teacher (the environment) to its fullest potential. Compared to my first pick, this one is a bit more theory heavy. However, I am a huge fan of Vygotsky. His early childhood theories of development have helped shape the way I interact with children. I was purging through an old teacher’s books when I stumbled across this, and I am so glad she was giving it away! I have referenced this book many times in research papers I wrote for class. LOVE Vygotsky. It is a bit harder to read than my other picks, but has simple ways to implement his theories. Any Reggio educator would recommend this book to educators wanting to step into the Reggio world but are unsure how. It is very descriptive and has a nice overview into the world of Reggio. Each chapter is a different aspect of the Reggio Way. It is a super easy read to help get your feet wet in Reggio. This was a required reading for one of my Early Childhood classes at UW. Because of my classes I have a love for emergent curriculum in early childhood and this book is a great help for using math with an emergent curriculum. It talks about how children learn numbers and a basic ladder showing the different steps children take when understanding numbers and math. It has a chapter on applying theory to practice which I think is one of the most difficult aspects of teaching. I bought this when it was on sale for $10. I was looking for something to help me encourage literacy without didactically teaching a letter a week. With my teaching philosophy, I want children to want to learn letters instead of forcing it on them. This book is very informative on why teaching a letter a week in early childhood is not age appropriate (or meaningful) and gives many examples on how to encourage literacy naturally through play! It is also a really quick read! I know. ANOTHER Reggio book. But seriously, this book is wonderful. It was originally written in Italian because that is where the Reggio approach started. This book is very informative and pushes the readers the critically think about how they interact with children. Children communicate and learn in a hundred different ways, it is us to the teacher (and parent) to help children discover everything there is to discover in their world. At the bottom of this post is The 100 Languages Poem from this text. For those of you who are struggling with how to utilize play to its fullest potential, this is a great book. It breaks up play into different categories and provides examples on what you might do and what could make it better. It is all backed up by proper research and theorists (such as Vygotsky and Piaget). Children learn best through all types of play and this book tells you all about them! Loose Parts go hand-in-hand with Reggio environments. 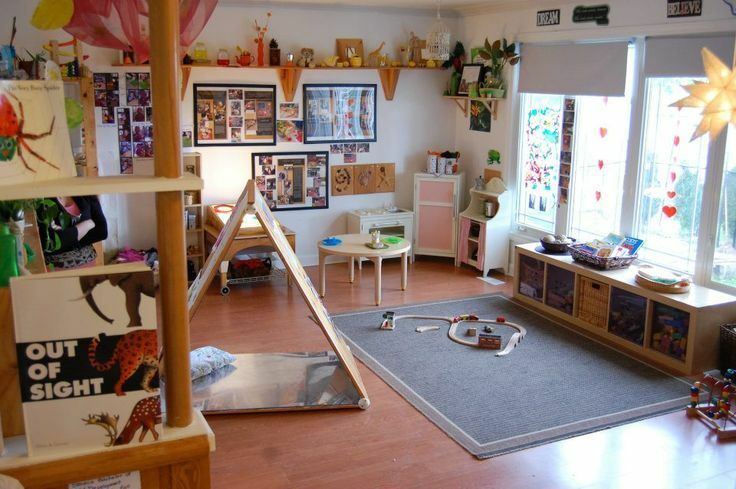 They allow children to use their imagination to create a world of play. This is actually the first book in a three part series (book 2, book 3). I haven’t read the other two, but I’m sure they are chalkfull of ideas just like this first book is! Loose parts are used a lot in Reggio environments because it supports inquiry and creativity. As well as loose parts tend to be natural materials, which Reggio is also big on. This was another book I read while in college. Although I didn’t want to spend the money on it then, I am happy I have it as a reference now! It has a lot of information if you need help assessing children in all areas of development. It has a list of red flags for each age that might help lead you to services for a child or frankly, that you aren’t meeting their needs in a certain area. Okay. So this isn’t the most exciting read in the whole world. HOWEVER it gives you a great idea of what to expect from children at a certain age. We want children to be excelling forward, not staying stagnate. Once a child succeeds at a certain step, keep pushing them! It serves as a great refresher when you are expecting too much (or not enough) from your kiddos. Surprise! Here is an extra book just because I can’t help myself! Now, you know I love outside play and you know I love sensory play. This book brings the two together, along with other things to make a great read on outside play. It is more than just letting them run around. The Reggio approach sees the outside playscape as another classroom, we should treat it as such! This book promotes outside play while providing thought provoking passages about how and why to embrace messy play inside and outside. These texts have helped form who I am as an early childhood educator and truly enforces my love for learning and helping children find their love for learning too! The more experiences children have the more they learn! I want to provide children with many different experiences so they grow to become well-rounded, kind, exploring people. All of these books and many other great books are available on Amazon Kindle. Here are some other great honorable mentions. I have read these all for classes at UW, not that they were bad, I just love these other ones. As always, thank you fro reading! I hope you have a list of books to add to your teaching library! ? If your “must have” book isn’t on my list, leave it in the comments below!